It’s cherry time in Door County! Yes, kids it’s cherry picking time all over Door County. Whether you pick your own or buy them from a market, they are everywhere. Schartner’s Farm Market just south of Egg Harbor offers both sweet and and Montmorency tart cherries which Door County is known for. 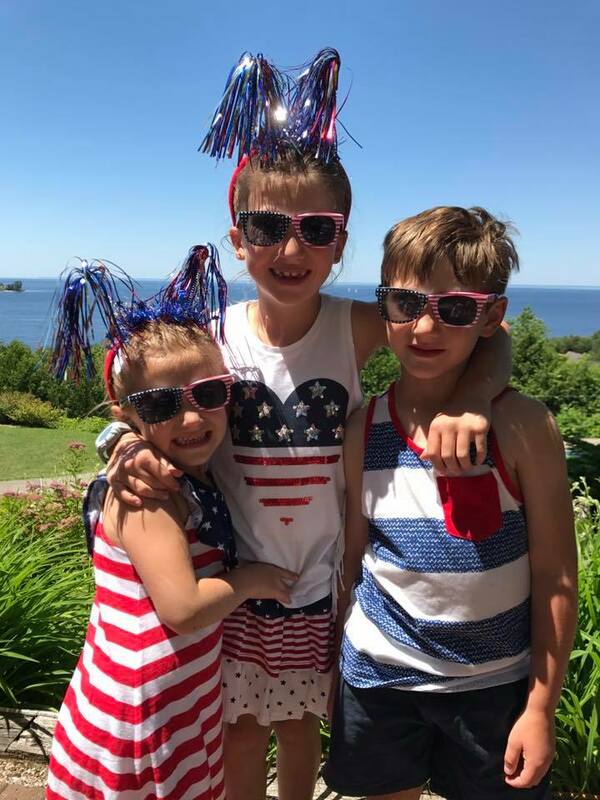 If you go to Schartner’s, make sure you look for our grandchildren Jaden, Adison, Brody and Sophie! Their older brother Jaden is 16 and he takes care of the pick your own cherries. Happy summer! 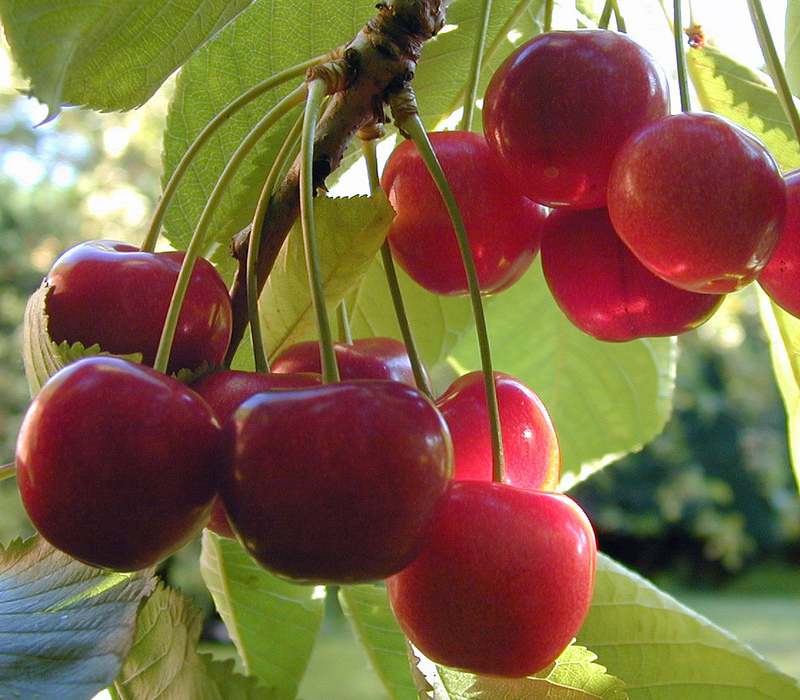 Posted in General	| Comments Off on It’s cherry time in Door County! The second of our two daughters got married June 24. This is the second wedding Carrie Baldwin has worked her magic on. They are second to none… I will post pictures when we get them! Reprinted with permission from Edible Door magazine. Directing chaos into a day of beauty, love and fun is Carrie Baldwin Smith’s specialty. As the wedding planner in Door County and owner of Door County Event Planners, Baldwin Smith not only helps couples plan and celebrate their union, she provides a service that brings a significant source of income to Door County. “My job as a planner is to prevent (unexpected) things from happening, and to plan for everything,” Baldwin Smith said. She has no set-in-stone job description. On any given wedding day, Baldwin Smith can be found pushing extra hairpins into bridesmaids’ hair, busing plates off dinner reception tables, assuag- ing commitment fears of anxious wedding couples, running interference among family members or sweeping rainwater off the floor of a ceremony venue. She’s part marching band director, part psychologist, part general contractor … and she loves it. Baldwin Smith moved to Door County after graduating from the University of Wisconsin-Stout with a degree in hospitality and tour- ism management and a focus in event planning. She worked for a few Door County businesses and helped plan a friend’s wedding before realizing there was a niche-need for wedding planners in Door County. In an average year, Door County Event Planners plan and execute 45 to 60 weddings. Baldwin Smith’s lifetime total is now more than 700 weddings. When meeting with clients to plan their event, Baldwin Smith and her wedding-planning partner of five years, Chandra Johnson, tell their clients that they are welcome to bring in vendors from anywhere, but they gently remind the brides that there are florists, chefs, and stylists, among others, based in Door County. As she’s grown her business, Baldwin Smith has worked tirelessly to cultivate loyal and quality vendors, who in turn do their best to ensure Baldwin Smith keeps them on her ‘Favorites’ list. want to be surrounded by nature, they want Door County to be part of the wedding, Baldwin Smith said of her typical client. Photo 2: Door County has plenty of ideal wedding locations. 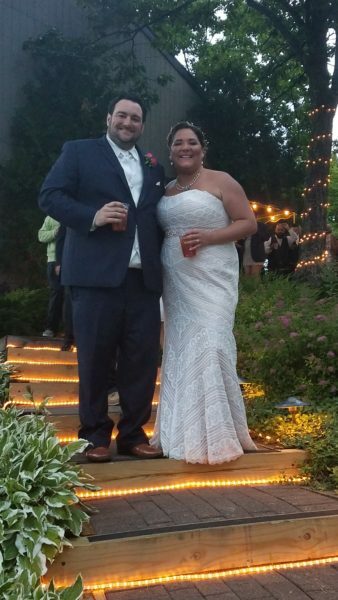 Here the Bride and groom make a grand entrance at Gordon Lodge near Baileys Harbor. -Photo by Tammy Lutze. Many brides want to create a wedding that is “Pinterest-worthy.” The hours brides are spending being crafty makes decorating fun, Baldwin Smith said. Guests really notice personalized touches. “Something like homemade jam as a wedding favor is noticed and appreciated by guests way more than something like a beer koozie,” said Baldwin Smith. Expressions of creative freedom are priority No. 1 in the weddings Baldwin Smith and Johnson are planning for the next few years. Barns, tents and outdoor spaces provide brides with an empty slate to create their own space, their own vision for their special day. From a wedding planner perspective, the creativity is wonderful, but the logistics of an unconventional event space provide some challenges. Oh, the tales of bridezillas Baldwin Smith could tell! But as a profes- sional, she doesn’t share those stories for print. The second most memorable stories have to do with weather, and in Door County there’s plenty of the unexpected from Mother Nature. All this while Carrie was 9 months pregnant with her fi rst daughter. “Carrie is one of the hardest working women I know in Door County,” Johnson said. “She is every day. She has thick skin, too. We could write a book about the things brides, vendors and staff do and say! 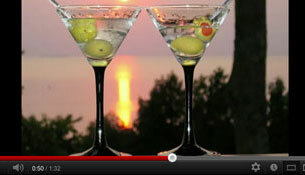 It’s in both of our hearts for everybody to fall in love with Door County while they’re here. Networking resources together in lightning speed is one of Baldwin Smith’s strengths and is part of what has made her so successful in Door County. Baldwin Smith may just be a wedding whisperer. Yes, kids… they are opening… Cherry blossoms that is. The orchards are nearly in their full glory. Door County is bustling with activity and most everything is open. 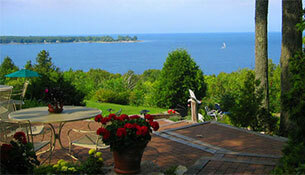 We have openings on Memorial Day, so come visit us in beautiful Door County! 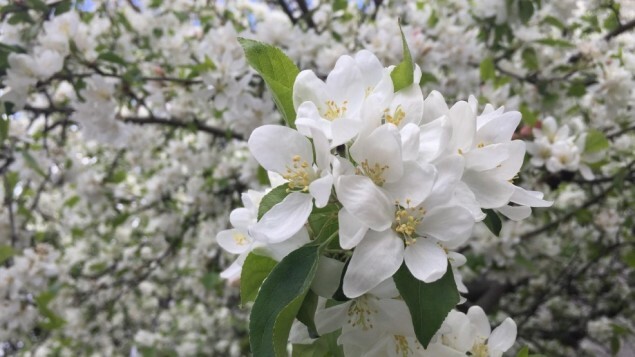 Posted in General	| Comments Off on Door County Cherry Blossoms! The new location of CHOP on a Sister Bay corner that has sat empty for a decade. 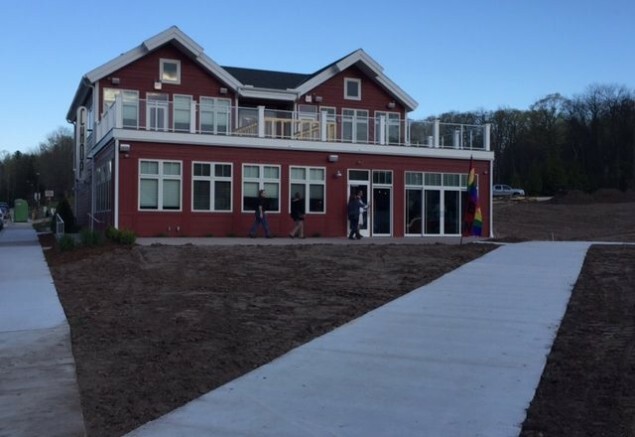 The 300-seat restaurant opened Thursday, May 11. Photo by Myles Dannhausen Jr. Door County Veterinary Hospital, 3915 Old Highway Road, Sturgeon Bay, Dr. Jordan Koblica and wife Dr. Jennifer Kerley. Groceries for Vacation, sisters Lori Bauman & Kathy Bauman buy and deliver groceries from Little Sturgeon to Egg Harbor, May through October. There is a minimum order of $60, plus a $25 delivery/shopping fee. Ahnapee Brewery, 105 Navarino St., Algoma: New owner, Nick Calaway, ahnapeebrewery.com. Anchor’s Away Garden & Gifts, moved to 1357 Green Bay Road, Sturgeon Bay, anchorsawaygarden.com. Appliance Avenue/Cellcom (part of Door County Co-op), moved to 938 Egg Harbor Road, Sturgeon Bay, doorcountycoop.com. Bay Shore Outfitters, moved to 27 S. Madison Ave., Sturgeon Bay, kayakdoorcounty.com. Chop, moved to 2345 Mill Road, Sister Bay, thechopsisterbay.com. Door County Adventure Center’s Ticket Office, 1033 Green Bay Road, Sturgeon Bay, dcadventurecenter.com. Door County Brewing, moving to 8099 Hwy. 57, Baileys Harbor, doorcountybrewingco.com. Fragrant Isle Lavender Shop, new location in Top of the Hill Shops, Fish Creek, fragrantisle.com. Island Lavender, new location at 10432 Water St., Ephraim, islandlavender.com. Jim Olson Ford, new location at 440 S. Duluth Ave., Sturgeon Bay, jimolsonford.com. Julie’s Upscale Resale of Door County, new location at 10553 Country Walk Drive, Sister Bay, juliesupscalesale.com. Knight Barry Title Services, new location at 945 Egg Harbor Road, Sturgeon Bay, knightbarry.com. Nor Door Sports, moved to 1014 Egg Harbor Road, Sturgeon Bay, nordoorsports.com. Pasta Vino, moved to 10571 Country Walk Lane, Sister Bay, pastavinodc.com. Quantum PC Services, moved to 325 Kentucky St., Sturgeon Bay. The Shoreline Scenic Cruises & Charters, moved from Sister Bay to Baileys Harbor Marina, shorelinecharters.net. Wood Orchard Market, new managing partners Mark and Crista Kochanski join owners Steve and Janice Wood, 8112 Hwy. 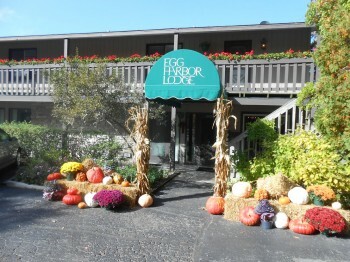 42, Egg Harbor, woodorchard.com. The colors of Autumn are just peaking in Door County. That means a good two more weeks to enjoy it. Right now we have a stay 2 night and get a third night free special going on. 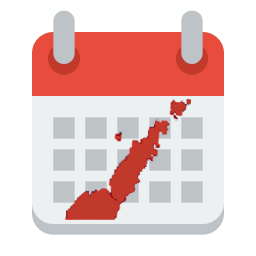 We are pretty booked for the upcoming weekend but we have availability after that. The crowds have gone and the colors will be fabulous!